Addressing the 2016 Real Estate Development and Investment Meet, Craig Plumb, Head of Research at JLL Mena said residential rents in Dubai could bottom out by as early as fourth quarter 2016. 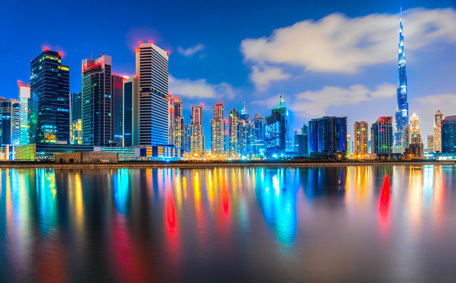 Average residential rents across the emirate fell by 5 per cent in 2015. However, residents have said that rents have increased with landlords in certain cases seeing an increase far higher than the official rent index. On the supply front, Craig said they expected 26,000 new units to be delivered this year, but believe only 10,000 to 12,000 units would be completed. The assumption is based on the materialisation rate in the UAE which is between 30 per cent and 50 per cent of the dwellings proposed by developers actually materialising. Plumb expects developers are likely to hold back their projects since they don’t want to flood the market as it could push up vacancy rates and reduce the values or rents. As for UAE’s capital, JLL expert said that Abu Dhabi’s realty market was probably a year or 18 months behind Dubai. The global consultancy did report earlier that slowdown in demand during 2015 and a decline in supply completions in capital had led to a reduction in rental growth. Prime rents had risen four per cent in the first quarter, but remained stable during the last three quarters, it said.